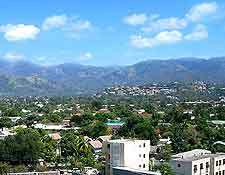 The Jamaica capital is its largest city and is something of a hodgepodge of swanky boulevards, old colonial districts and shanty towns. 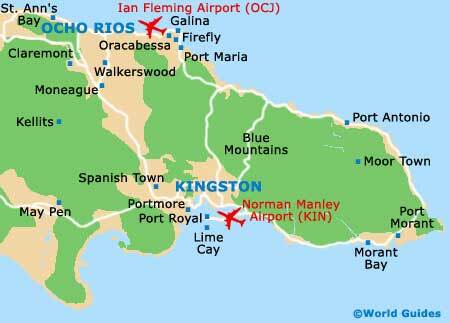 Kingston is the main gateway to the island and has a decent collection of attractions and landmarks. There are also beautiful beaches here, negating the need to hit Montego Bay, while the nightlife scene is well developed and the Bob Marley museums and memorials are a big hit. Although many choose wrongly to avoid Kingston due to its street culture and renowned social issues, tourism is still big business here, year-round, with wintertime being busiest. The main Kingston tourist information office (the Jamaica Tourist Board) is located on Knutsford Boulevard, within the Uptown area of the city. In general, Kingston is not the first place that people think of when it comes to Jamaican beaches, although it should be noted that there are some very appealing stretches of soft white sand in this part of the island. 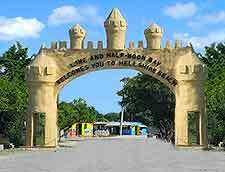 Particularly popular are the beaches of Fort Clarence and Hellshire, while Fisherman's Beach is equally appealing, with its fried fish specialities and weekend party atmosphere. Just a short distance to the east of Kingston and close to Bull Bay, Cable Hut Beach is the place to come for those wishing to surf on the Caribbean Sea. More information about Kingston Beaches. If you are looking to familiarise yourself with the top tourist attractions during your holiday in Kingston, do consider exploring the city by following a popular self-guided route, starting on the Ocean Boulevard and leading all the way to the National Heroes Park. Along this route you will encounter the Coke Memorial Hall, on the eastern side of William Grant Park, which appears more like a fortress than a venue for local events. Downtown Kingston is centred around 'The Parade', where street vendors are easy to come by and reggae music is never far away. Trench Town is an interesting part of this area, boasting the origins of reggae and ska music. If you are here as a Bob Marley fan, then consider a trip to the Tuff Gong Recording Studios. More information about Kingston Tourist Attractions. As the capital of Jamaica, Kingston contains a selection of important landmarks, mainly dating back to the period of British colonial rule. However, many were either damaged or totally destroyed by the devastating earthquake of 1908. The late 17th-century Kingston Parish Church and the early 20th-century Cathedral of the Most Holy Trinity are two of the most obvious. 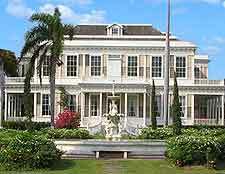 Others include Devon House, Giddy House, Alexander Bustamante's House and the George William Gordon House. Near to Devon House and not open to the public is Jamaica House, a palace-like building where the Jamaican prime minister once resided. Also in this area is King's House, the Canadian Embassy and the Mayfair Hotel. Fort Charles in nearby Port Royal deserves a mention, with its glorious harbour views and surprising Nelson heritage. 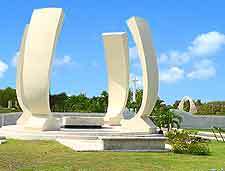 More information about Kingston Landmarks and Monuments. Several quality museums are based in Kingston, offering information about all manner of subject matters, ranging from Jamaican music to politics. 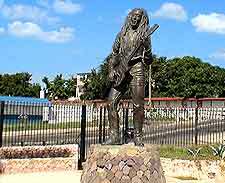 It is generally the Bob Marley Museum where most people head first and this was once both the home and recording studio of this great reggae icon. At the African Caribbean Heritage Centre, the rich African heritage of Jamaica is explored, and at the Institute of Jamaica, the Natural History Museum and the National Library of Jamaica warrant a look. Offering something exceptional in the world of art, the National Gallery of Jamaica functions as the island's premier gallery and contains organised themed exhibitions, whilst also hosting the annual National Visual Arts Exhibition. More information about Kingston Museums and Kingston Art Galleries. From Kingston it is just a short journey to a number of nearby attractions, such as the exotic Castleton Gardens, the attractive first capital of Jamaica - Spanish Town (once named St. Jago de la Vega), and the former pirate stronghold of Port Royal. 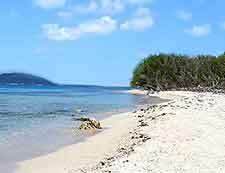 Located at the mouth of Kingston Harbour and close to Port Royal is Lime Kay, with its pleasant beach often becoming rather busy at the weekend. A little further from Kingston is the beach resort of Port Antonio, the bustling market town of May Pen, and the lively resort town of Ocho Rios, where cruise ships dock on a regular basis. The Blue Mountains of Jamaica are also within reach and are nothing short of a hiker's paradise, with the Strawberry Hill resort next to Irish Town being especially popular. More information about Kingston Attractions Nearby.